Bamboo flooring has long been popular as a sustainable alternative to other flooring materials. Not only is it made from a renewable resource, butbamboo flooring is also elegant, contemporary and durable. As bamboo floors have grown in popularity, manufacturers have developed new ways to make these eco-friendly floors more affordable and easier to install. One of these innovations is click bamboo flooring, available from manufacturers such as Kentwood and DANSK Hardwood. Easy to install. The biggest benefit of click bamboo flooring is that it’s a cinch to install – just cut the boards to length and snap them into place. This means minimal cleanup and no waiting for glue to dry, making this an ideal project for do-it-yourselfers. Reduced labor costs. Even if you have a professional install your click bamboo flooring, the job will go much faster than with regular wood flooring, which helps you save money on your flooring installation. Easy to repair. 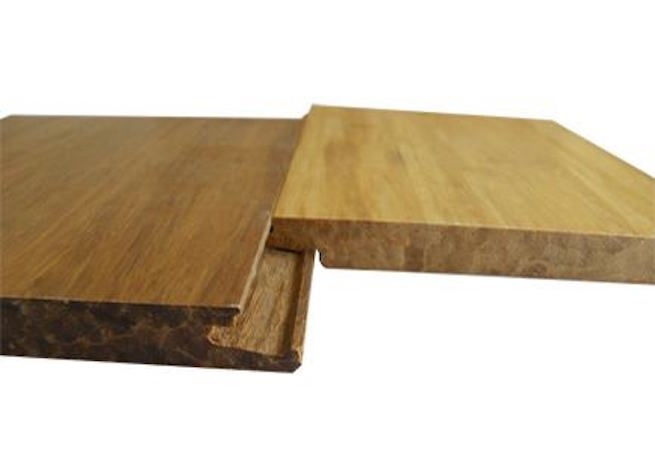 Click bamboo flooring can be taken apart as easily as it was put together, which makes it a breeze to replace severely scratched or damaged boards. Installing a bamboo floor doesn’t have to be a complicated or expensive undertaking. Click bamboo flooring makes the sustainability of bamboo more easily available to homeowners on a budget.